Zapraszam do lektury nadesłanej pracy magisterskiej, zatytułowanej "The legal protection and use of open source computer programs"
Praca napisana pod kierunkiem prof. György Boytha, Budapeszt - Węgry 2004. Niniejszy dokument zawiera jedynie wybór z pracy. 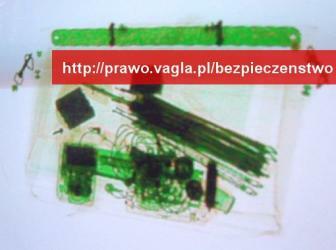 Cała praca znajduje się w pliku k_siewicz_oss_legal.pdf (ok. 635 Kb). The paper deals with the question of the relation between Open Source computer programs and law on both the theoretical and practical level. The methodology used was to examine legal aspects of computer programs in general in order to estimate the specific issues triggered by Open Source Software in this area. Technical, economic and social aspects of software production were also analyzed. The research encompassed primary and secondary sources of law of the U.S. and EU, non-legal authoritative writings and consultations with experts. The main areas discussed, in order of appearance, are the general means of protecting computer programs, the theoretical grounds for this system and the ways it is used in practice. Then, the history and some details of technical side of Open Source computer programs is presented together with the social and economic aspects of Open Source Movement. All this research is put together and the essence of the legal system designed by the movement is discussed against the background of general protection. In the end, this system is analyzed by confronting its institutes with the laws of particular jurisdictions. The key finding of the paper is that the legal protection and use of Open Source computer programs form an innovative and remarkable system, which is in-line with the theory of intellectual property law even though its use of the law is the opposite of the trend known as "proprietary licensing". Although most of the Open Source legal innovations are generally valid and enforceable, much depends on the interpretation given in particular jurisdictions. The finding of the detailed analysis is that there is a need of more diligence in arranging legal relationships between parties involved in the creation and use of Open Source Software. Yannis Skulikaris, Software-Related Inventions and Business-Related Inventions; A review of practice and case law in U.S. and Europe, PATENT WORLD, February 2001, at 26. Directive on the protection of consumers in respect of distance contracts, 97/7/EC, OJ L 144, 04/06/1997, P. 19. Sun Industry Standards Source License - Version 1.1, available at: http://www.openoffice.org/licenses/sissl_license.html. American Cases Adobe Systems, Inc. v. One Stop Micro, Inc. 84 F. Supp.2d 1086 (N.D. Cal. 2000). Apple Computer, Inc. v. Franklin Computer Corp.714 F.2d 1240 (3d Cir.1983), cert. dismissed 464 U.S. 1033 (1984). Architectonics, Inc. v. Control Systems, Inc.935 F. Supp. 425 (S.D. N.Y. 1996). Berthold Types Ltd. v. Adobe Systems, Inc. 101 F. Supp.2d 697 (E.D. Ill 2000). Brown Bag Software, Inc. v. Symanthec Corp.960 F 2d 1465 (9th Cir 1992). Caspi v. Microsoft Network L.L.C. 732 A.2d 528 (N.J. Super Ct. App. Div. 1999), cert. denied, 743 A.2d. 851 (1999). CMS Software Design Sys., Inc. v. Info Designs, Inc.785 F.2d 1246 (5th Cir.1986). Computer Associates, Inc. v. Altai, Inc.982 F.2d 693 (2nd Cir 1992). EF Cultural Travel BV v. Zefer Corp. 2003 U.S. App. LEXIS 1336 (1st Cir. 2003). Hines v. Davidowitz, 312 U.S. 52, 67 (1941). Hotmail Corp. v. Van$ Money Pie, Inc. 47 U.S.P.Q.2d 1020 (N.D. Cal 1998). I.LAN Systems, Inc. v. Netscout Service Level Corp.183 F.Supp.2d 328 (D. Mass. 2002). Lasercomb America, Inc. v. Reynolds 911 F.2d 970 (4th Cir. 1990). Lotus Development Corp. v. Paperback Software Int.740 F. Supp. 37 (D. Mass. 1990). M.A. Mortenson Co. v. Timberline Software Corp.970 P.2d 803 (Wash. Ct. App. 1999), aff'd, 998 P.2d 305 (Wash. 2000). Microstar v. Formgen, Inc. 942 F. Supp. 1312 (S.D. Cal. 1996), aff'd in part, rev'd in part, 154 F.3d 1107, 48 U.S.P.Q.2d (BNA) 1026 (9th Cir. 1998). Novell, Inc. v. Network Trade Center, Inc. 25 F. Supp. 2d 1218 (D. Utah 1997). Planetary Motion, Inc. v. Techsplosion, Inc.261 F.3d 1188 (11th Circ. (Fla.), 2001). ProCD, Inc. v. Zeidenberg F.3d 1447 (7th Cir. 1996). Progress Software Corp. v. MySQL AB195 F. Supp. 2d 328 (D. Mass. 2002). Register.com, Inc. v. Verio, Inc. 2004 WL 103400, 69 U.S.P.Q.2d 1545 (C.A.2 (N.Y.), 2004). SCO Group, Inc., The v. International Business Machines, No. 2:03cv0294 (Plaintiff's Amended Complaint) (D. Utah, filed June 16, 2003). Softman Products Co., LLC v. Adobe Systems, Inc. 171 F. Supp. 2d 1075 (C.D. Cal. 2001). Sony Corp. of Am. v. Universal City Studios, Inc. 464 U.S. 417 (1984). Specht v. Netscape Communications Corp. 306 F.3d 17 (2nd Cir. (N.Y.) 2002). State Street Bank & Trust v. Signature Financial Services, 149 F.3d 1368 (Fed. Cir. 1998), cert. denied 119 S.Ct. 851, (1999). Step-Saver Data Sys., Inc. v. Wyse Tech.939 F.2d 91 (3d Cir. 1991). Storm Impact, Inc. v. Software of the Month Club, 13 F.Supp. 2d 782 (N.D. Ill. 1998). Ticketmaster Corp. v. Tickets.com, Inc. 54 U.S.P.Q.2d (BNA) 1344 (C.D. Cal. 2000). Unix System Laboratories v. Berkeley Software Design, Inc.1993 Copr.L.Dec. P 27,075, (27 U.S.P.Q.2d 1721); 1993 Copr.L.Dec. P 27,166, (86 Ed. Law Rep. 738, 29 U.S.P.Q.2d 1561). Whelan Associates, Inc. v. Jaslow Dental Laboratory Inc.797 F.2d 1222 (3d Cir. 1987). Williams Electronics, Inc. v. Artic International, Inc.685 F.2d 870 (3d Cir. 1982). Landgericht München, 19.5.2004, 21 O 6123/04. Hmm ciekawe. Należałoby uzupełnić w świetle GPL 3.0. Swego czasu wrzuciłem na bloga "Analizę prawną projektu GPLv3", ale później nie znalazłem niestety czasu aby to uzupełnić po wydaniu przez FSF ostatecznej wersji GPLv3. Chętnie zapoznam się. Muszę przyznać że zarówno strona Pana Piotra Waglowskiego jak i Pana bardzo mnie inspiruje. Jak tylko się obronię, chętnie bym z Panem podyskutował na temat GPL oraz creative commons. Dyskutować, zwłaszcza o Creative Commons, im wcześniej tym lepiej - finalizujemy właśnie tłumaczenie i dostosowywanie licencji CC w wersji 3.0 do prawa polskiego.